Total Guitar issue 237 is on sale in print in the UK and digitally worldwide from today! 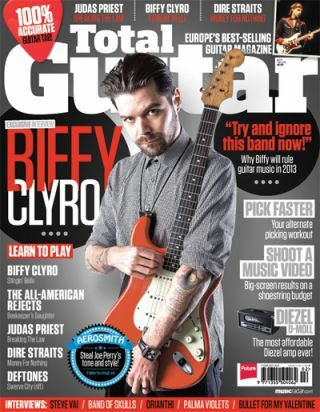 Total Guitar 237 features an exclusive guitar interview with Biffy Clyro's Simon Neil, where he discusses new double album, 'Opposites', how the band nearly split, and why nothing beats playing guitar and screaming your head off! Shoot Your Own Music Video! The latest new kit from Diezel, Fender, Faith, Gibson, and more. Plus! The best budget multi-FX units.